Laser eye surgery is a procedure which corrects refractive errors including short-sightedness, far-sightedness, astigmatism and presbyopia. Highly precise lasers have led to truly life-changing results. In experienced hands, using strict protocols with individualised care and attention to detail, results are even more exceptional. At Centre for Sight IntraLASIK is the preferred laser procedure. The ‘Intra’ component denotes the use of the revolutionary Intralase iFS Femtosecond laser which creates the highly precise and micro-thin flap at the front of the eye which is required to perform LASIK.The ‘LASIK’ portion is an abbreviation of Laser Assisted in Situ Keratomileusis. This is the portion of the procedure where the prescription is delivered under the micro-thin flap. Using an individualised treatment plan prepared by the treating surgeon, the Excimer laser is used to accurately re-sculpt the cornea internally, treating the overall prescription as well as correcting fine abnormalities (high order aberrations) to enhance visual outcomes. Alternatives to IntraLASIK include LASEK, PRK and Epi-LASIK. At Centre for Sight, these are only performed in exceptional circumstances (e.g. if there is an abnormality of the corneal epithelium, scarring or surface irregularity). 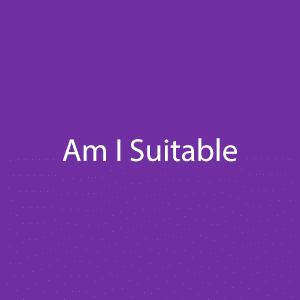 How to find out if you are suitable? To find out about your suitability for Lasik/IntraLASIK, please use the Am I Suitable questionnaire. Answer a few simple questions and Centre for Sight staff will contact you with more information about specific options for vision correction. The final decision about your suitability for this procedure will depend on findings by the consultant surgeon at your consultation. A very thorough 2 to 3 hour consultation with a clearly defined patient care pathway involving numerous investigative tests followed by a complete eye examination by your surgeon will determine if you are a candidate. Now almost 30 years old [REF 1], Laser eye surgery has been revolutionary for patients and has involved considerably over the last three decades. Centre for Sight’s medical director Sheraz Daya has performed laser eye surgery since 1990 and introduced Lasik and Intralase Lasik (IntraLASIK) to the UK [REF 2]. Every evaluation is performed directly by a Surgeon – this is the most important aspect of care and the key to our success. Only a surgeon will be able to evaluate the eye from a surgical perspective, taking into consideration all possibilities. Anything less is a compromise. Furthermore, the level of expertise is very high and all laser eye surgeons are fellowship-trained (super-speciality trained) in Cornea and Refractive Surgery. IntraLasik Laser eye surgery using the Intralase femtosecond laser was introduced to the UK by Centre for Sight in 2004. Uncompromising and safer, ALL Lasik patients at Centre for Sight undergo surgery with Intralase. While there are many sub-types of laser eye surgery offered (PRK LASEK, LASIK), the choice of procedure will be made by the surgeon in discussion with you and after in-depth investigation and consultation taking into consideration your eyesight, eye health, type of correction as well as occupation, lifestyle and interests. We look after you as well as your eyes. Surgeons to other eye Surgeons! Eye surgeons, Opticians and Doctors regularly bring their family or themselves for treatment at Centre for Sight, some travelling internationally. This is the ultimate attestation of excellence a centre can have. Centre for Sight has an international reputation for repairing complications of laser eye surgery from other centres. Don’t take our word for it, search online and you will find ample evidence. Best to undergo eye care by experts in the business. Availability 24/7– we look after our patients and as providers of medical and surgical care understand the need for patients to be able to contact us in the case of an emergency. Exceed minimum standards– Centre for Sight prides itself in setting standards for medical and surgical care including Laser eye Surgery. We regularly exceed minimum required standards as we believe surgery should be as safe as possible. Eye surgeons regularly visit to learn from surgeons at Centre for Sight. ISO 9001, 14001 and 27001 accredited – Very few providers in the UK hold all this multiple certification which externally verifies the high standards of care provision at Centre for Sight. Rated “Outstanding” for being Well Led by the Care Quality Commission, the regulator for Clinics and Hospitals. To accurately assess your eye and power of correction required, prior to your consultation, you are advised to stop wearing contact lenses for at least one week for soft lenses, and four weeks for hard/gas permeable lenses. Your vision will be tested with and without your glasses. 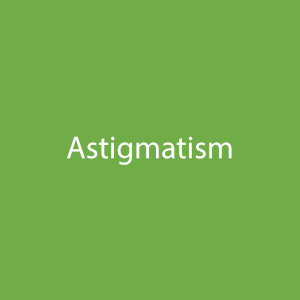 Your degree of near-sightedness or far-sightedness is measured using a machine called an autorefractor. Your eyes are then tested to see what level of correction is needed. Contrast sensitivity is also performed.Termed corneal topography, the curvature and shape of your cornea will be evaluated to ensure there is no corneal warpage from contact lenses or hidden corneal conditions. The corneal thickness is also measured. 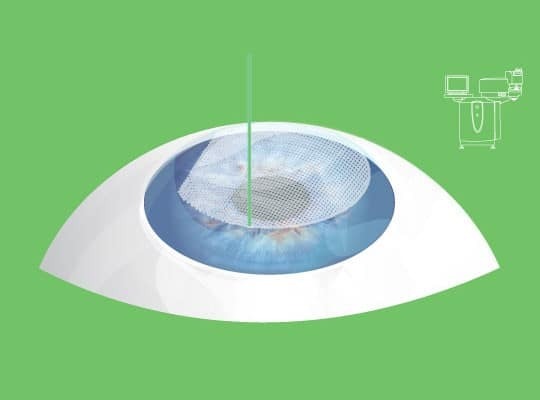 Aberrometry is used to determine any visually destructive aberrations worthy of wavefront treatment, and iris details are captured for the Advanced Controlled Eye Tracker to enable accurate laser spot delivery even with fine eye movements during surgery. 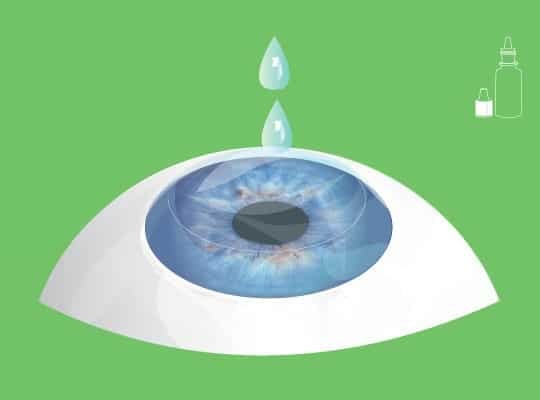 Evaluation for dry eye [REF 3] will also be conducted using a number of tests including a Schirmer’s 1B test Your eye pressures are taken and drops are administered to dilate your pupils. This enables the consultant to examine the retina at the back of your eye to ensure there are no problems. Your eye is examined fully by a consultant eye surgeon. Once your assessment is complete, and provided that you are found to be suitable, your surgeon will recommend the best treatment option available for you and you will be counselled about the benefits, alternatives and risks as well as what to expect in the immediate post-operative phase. Please allow up to three hours for the consultation. Prior to the procedure, the treatment plan is verified against file exports from tests performed at consultation. The laser is calibrated and new disposable instruments are prepared. Topical anaesthetic drops are used to numb your eye and strong antibiotics used to prevent infection. The area around the eye is cleaned and prepared, an eyelid holder is used to prevent eye closure. The Intralase laser creates thousands of tiny bubbles to fashion the flap at a specified depth in the cornea for each eye. Once the surgeon is happy with the quality of the flap a second set of more condensed bubbles created vertically forms the edge of the flap. The laser bed is then automatically moved to the Bausch and Lomb Technolas Teneo 2 Excimer laser. Iris recognition takes place to ensure accurate laser spot delivery. (Each iris is unique and therefore there is no chance of mixing up eyes or treatments). The flap is then carefully lifted and the laser is used to reshape the inner cornea according to your individual prescription, customised to provide optimal asphericity and reducing wavefront abnormalities where required. You will be asked to gaze at a flashing red light during the procedure. When the treatment is completed, the flap is replaced and allowed to dry. The flap attaches without the need for stitches and eye drops are administered to prevent infection. Surgery is performed to both eyes on the same day. However, in the interest of safety and good practice, at Centre for Sight each eye is treated as a separate procedure with separate instruments. Dark glasses on an elasticated headband will be provided to prevent you inadvertently rubbing your eyes. You will then sit in a reclining chair with your eyes closed. Before you leave, the eyes will be examined to ensure you can see (typically driving standard) and that the flaps are fine. Note vision will not be completely clear and often it will seem like you are looking through a fog. This will clear over the next few hours. Prior to leaving, you will be given something to eat and a well-earned cup of tea or coffee! Please arrange for somebody to take you home as you will not be able to drive and may feel a little drowsy from sedation. Drops will be provided and instructions on their use will be explained to both you and your companion. Written details along with Do’s and Don’ts will also be provided in your medication bag. You will be reviewed soon (a day or two) after surgery and periodically thereafter. Your vision will be evaluated and corneal shape measured. The duration of these visits is much shorter and performed to track your recovery and provide you with reassurance that all is well. Can I take a shower? You can shower the next day but you must make sure your eyes are closed. When can I drive? When you are comfortable with your new vision, and it meets the level required to meet the driving standard [REF 4]. When can I go back to work? The next day, if you are comfortable. When can I use a computer? The next day, but be sure to follow the 20:20:20 Rule – take breaks after 20 minutes, look out of the window for 20 seconds and close your eyes for 20 seconds. Please make a conscious effort to blink more often. When can I exercise at a moderate pace? After one week. What about exercising at an intense level? Please wait for two weeks and use a headband to absorb any perspiration to prevent this from entering your eyes. When I can I go swimming? After three weeks but with goggles, four weeks without. When can I go Scuba Diving? After 4 weeks. When can I wear eye make up again? Please do not wear mascara or eyeliner for four weeks; all other make-up, please wait for two days. Consider having your eyelashes tinted before surgery. Lasers have revolutionised sight correction procedures and with technological advances, laser vision correction has never been better. Lasers are highly accurate with every pulse measured and accurately placed using eye trackers that follow every movement. Lasers accurately treat to levels less than one thousandth of a millimetre. Centre for Sight committed to innovation and development and works as reference site to the ophthalmic industry. The centre remains a leader and pioneer in the UK consistently introducing new innovative technology to the UK — technology which has subsequently been adopted by other care providers. These ‘firsts’ include the introduction of Intralase blade-free LASIK laser eye surgery two years before any other UK provider — a procedure since acknowledged as the most advanced and safest laser eye surgery procedure currently available and approved for US fighter pilots and NASA astronauts. 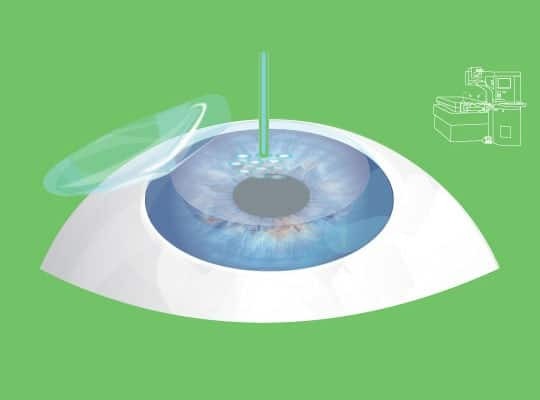 Centre for Sight UK has been involved in the development of a new generation laser for LASIK and laser vision correction procedures – the Bausch and Lomb Technolas Teneo 317 Excimer laser, available at both Centre for Sight surgical sites in East Grinstead and Oxshott. The laser can be used to treat Short-sightedness (myopia), Far-sightedness (hyperopia), Astigmatism and Presbyopia using the proprietary Supracor Lasik treatment. At Centre for Sight, surface treatments are usually only performed in exceptional circumstances (e.g. if there is an abnormality of the corneal epithelium, scarring or surface irregularity). A variation of this “Transepithelial PRK” procedure for use on the Teneo Laser was developed at Centre for Sight and suitability for this is determined at consultation. The PRK procedure is a single step and is a “no-touch” technique where the laser is used to both remove the top epithelial layer and change the corneal shape. The advantages in our experience and that of others [REF 5] include less pain, less postoperative erosions and discomfort as well as better accuracy and faster visual recovery. LASEK (Laser-Assisted Sub-Epithelial Keratectomy) is a derivative of Photorefractive Keratectomy (PRK) whereby the epithelium is loosened with 18-20% alcohol. In LASEK, epithelium is dislodged and put to one side (instead of being discarded) and then replaced after the excimer laser treatment. It has been suggested that LASEK is less painful than PRK and less likely to produce long-term haze. This has not been proven to be true, and certainly not in our experience at Centre for Sight. But the procedure is popular, especially in centres on the high street. IntraLASIK provides a measure of safety well beyond traditional LASIK and, in good qualified hands, serious flap (and visually significant) complications, just do not occur. Infection is rare in all laser eye surgical procedures. Centre for Sight has always had the very highest standards in hospital safety and procedures and Intralase decreases the risk of infection further. IntraLASIK also uses one time use disposable instruments, further improving this level of safety. All laser patients develop some degree of transient dry eye which improves over time. This is a result of lasering nerve endings which need to regrow and provide a sensation and stimulus for tear production. Toxic eye drops used at the time of surgery to prevent inflammation also can contribute further to dryness. During the first few months following surgery, those affected must use artificial tear drops provided to avoid dry eye problems. Patients likely to be severely affected are identified at the time of consultation and either treated first for dry eye or declined for laser surgery. These are a possibility depending on how the eye responds to the laser and how it heals. If this does occur, an enhancement or retreatment may be necessary three months after the procedure. To reassure you, this occurs rarely at Centre for Sight and, for short-sightedness, less than 1% of our patients have required an enhancement with IntraLASIK. Should this be required, there is no additional charge if required within a year of surgery. 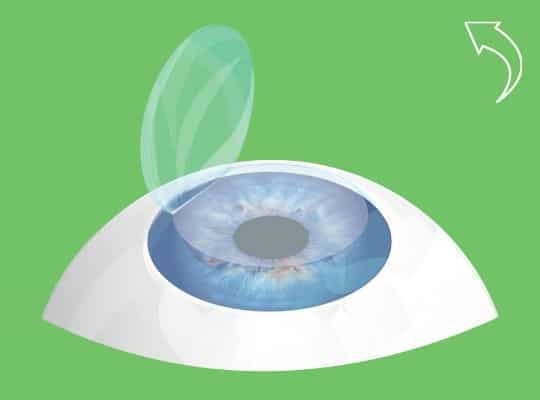 While permanent night vision problems have been reported, in expert hands and correct treatment choice (Aspheric and Wavefront Aspheric treatments), these are rare. All patients will experience some night vision disturbance soon after the procedure which will improve with time, rapidly decreasing after two weeks. How long does it take to do LASIK/IntraLASIK? The procedure is very quick and usually takes less than ten minutes per eye. Although the procedure is quick, plan on being at the centre for about two to three hours as time is required to prepare you, perform the treatment, and allow you to recover and be discharged. No, the treatment itself is completely painless. Large amounts of anaesthetic drops are used which completely numb the eye. You might feel a bit of pressure at the very beginning when the Intralase laser is used to create the front flap. After the procedure some patients describe a gritty sensation like a lash in their eye. Some feel a bit of stinging which lasts for a few hours. For this reason, we ask patients to have a nap for about four hours after the procedure. Paracetamol or ibuprofen is the most you will need to manage the discomfort. This is a commonly concern. A delicate clip holds the eyelids open during the procedure and blinking is not possible. Your head fits snugly into a head rest and cannot move. Your head will also be held by the surgeon while the treatment is taking place. All you will need to do is gaze at a blurry blinking red light. The laser also has an iris recognition tracker that follows the eye ensuring laser shots are accurately delivered even with very fine and rapid movements of the eye. If the eye moves beyond range the laser does not fire. How soon after the surgery will I be able to see? Vision recovers very quickly after the procedure and this is what makes the procedure so exciting. At ten to fifteen minutes after the procedure we check your vision and the cornea to make sure all is well. Although misty or foggy soon afterwards, this clears after a night’s sleep. Visual recovery in very few patients can take slightly longer than one day and sometimes takes up to ten days. Although everyone is a little different, the vast majority of our IntraLASIK patients achieve legal driving vision or better the very next day. 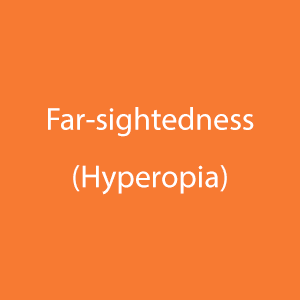 Note that vision may fluctuate a little in the first couple of weeks. This is a normal phenomenon and you will find that this will stabilise and improve day by day. What happens when I get older, will my vision change? IntraLASIK corrects the eye and makes the refraction normal. In our mid-forties, as the lens within our eye becomes inelastic, the fine focusing mechanism does not function as well. 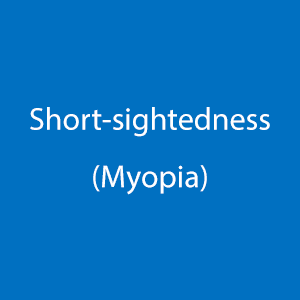 As a result, reading glasses or bifocal segments are needed. Therefore, it is quite probable you will need glasses for reading fine print if you are over the age of forty-two (or when you reach this age), even if you were able to read without glasses before surgery. 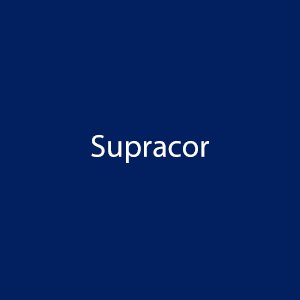 Supracor IntraLASIK [REF 6] may be recommended if you are in this age group. If you have had previous LASIK, this procedure could be a possible option. In your mid 50’s laser lens replacement is an option to provide distance, intermediate and near vision in both eyes. In your sixties or seventies, cataract formation may alter your vision and change the power of your eye and in turn benefit from laser refractive cataract surgery which similar to laser lens replacement will provide a full range of focus. What if I am not suitable for laser eye surgery? Depending on the health and status of your eyes, alternatives may be suggested by the surgical team. Options include Implantable Contact Lenses (ICL) or Laser Lens Replacement /Exchange (LLR). As a fully-fledged surgical eye centre, a variety of treatments are performed for both vision correction and other eye conditions. Your consultation is to evaluate you on an individual basis and determine which option is best for you. We are confident that no matter the magnitude of correction, we are able to help. Is the procedure covered by health insurance? Most health insurance companies do not cover laser eye surgery where the purposes for treatment are elective vision correction. *This deposit payment of £500 is deducted from the total cost of surgery if patient is found suitable. If a patient is found to be unsuitable for Laser eye surgery, this deposit payment will be refunded in full. In the event that a patient is found to be suitable for surgery but decides not to proceed, a 50% refund will be provided (£250 to cover costs of consultation and investigations). The cost of laser eye surgery is the same irrespective of the level of prescription. (The only exception may be those who have had previous eye surgery of any kind. )To us the bespoke process of consultation and surgery is equally involved and exhaustive for all patients. We therefore do not differentiate pricing based on prescription. No hidden extras or top up fees, no need to wonder “how much is laser eye surgery” at any time – guaranteed. 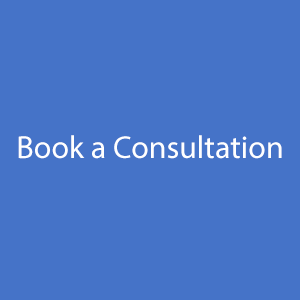 For laser vision correction consultations, we request a deposit of £500 to be paid at the time of booking and appointment. The prices are an indication of usual charges. The information here is not complete and subject to change. Centre for Sight has partnered with V12 Finance, to make this remarkable care affordable. Our attractive 0% APR (representative) repayment option is available over 24, 18 and 12 months. A deposit payment of 20% is required for laser eye surgery and varying deposits for all other procedure types; the remaining amount is equally divided into 12, 18 or 24 further payments. Once approved can be taken advantaged of immediately. Authored by Sheraz Daya MD FACP FACS FRCS(Ed) FRCOphth, Consultant Ophthalmic Surgeon & Medical Director, January 2019. As an authority and leader in refractive surgery he has served on the Royal College of Ophthalmologists Refractive Surgery Working Group which developed the Standards for Refractive surgery including Implantable Contact Lenses /Phakic IOL (https://www.rcophth.ac.uk/wp-content/uploads/2016/03/ToR-Refractive-Surgery-Standards-Working-Group-V1.4.pdf). Next review due January 2020.